Living in a big city for the last two years, I have more than once had the misfortune of missing a show by one of my favorite bands just minutes from my apartment because I didn't know it was happening. This week it occurred to me that surely someone out there is running a free online service that will email me whenever my favorite artists are playing in my city, in a noble effort to spare concert-lovers like me this crushing disappointment. 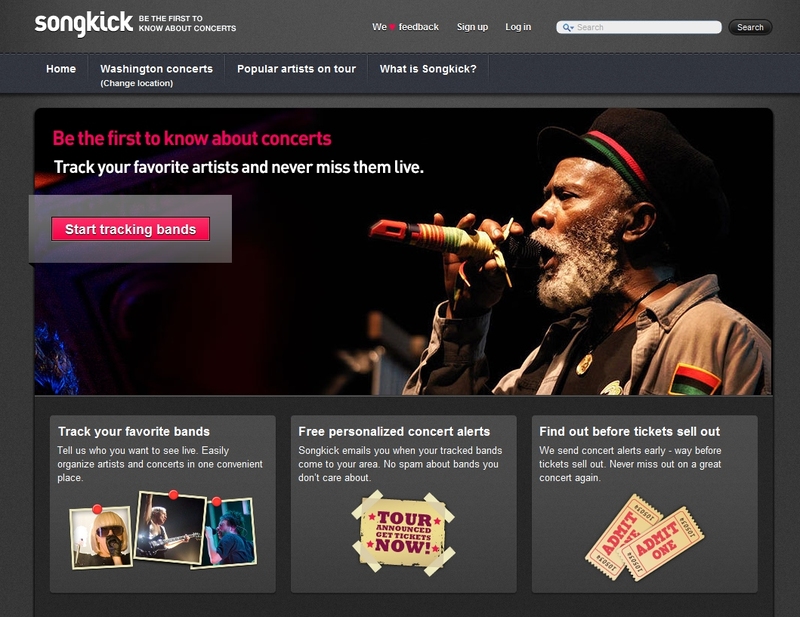 Sure enough there are a bunch of sites like this, the most popular of which are Songkick and Bandsintown. I read some reviews and decided to hop on Songkick, since it boasted a cleaner interface and a mobile app. Once I signed up I learned that Songkick provides a small program which will scan your iTunes library and upload all the artists therein, saving you the tedious task of selecting them one-by-one online. In minutes I had a list of upcoming concerts in DC (as well as Baltimore and Charlottesville, which are easily drivable) by my favorite bands. There were at least five coming up in the next month that I had no idea about! At this point, Songkick was more than worth the time it took to sign up and set up, but if you want to go further Songkick also integrates with Facebook, allowing you to announce to your Facebook friends when you're attending a concert and see if any of your friends are planning to go as well. Even if you're one of those folks (like me) who are looking for less Facebook in your life rather than more, you have to admit that's pretty cool. So if you want a simple, easy way to to never miss another concert, go for it!